Video Data Science: Focusing on health outcomes in ambulatory and comprehensive wellness. When Meharry Medical College decided to create a data science institute, they chose to partner with Clearsense to create a healthcare data ecosystem to support Meharry’s long-term goal of educating their medical students in data science. Amy Andrade, Meharry Medical College and Charles Boicey, Clearsense, discuss their strategic partnership including their results to date and the future of educating citizen data scientists. Amy M. Andrade, MS, is the Senior Advisor to the President on Technology & Innovation, Assistant Vice President for Research at Meharry Medical College. Amy serves as the Founding Director of the Data Science Center and provides leadership to ensure it achieves its core objectives. In addition to Ms. Andrade, Ms. Lena Walker-Winfree, MS, serves as the Data Science Project Manager. The efforts of creating a Data Science Center at Meharry strategically focused in creating a data ecosystem to provide the ability for faculty, students and staff to do scholarly initiatives on health and education. The Data Science Center at Meharry Medical College reached a major milestone on September 25, 2017, with the beta-launch of the first set of tools to explore and discover aggregated clinical data from Meharry Medical Group, Meharry Dental School, and Nashville General Hospital, along with Exposome, Social Determinants, and Social Media data sets. Teaching – The DSC is collaborating with Meharry’s schools of dentistry, graduate studies and research and medicine to develop a curricular “thread” that utilizes inter-professional education and small group learning. This thread provides an introduction to the concepts of big data science, precision medicine, and population health management. Learners develop the basic competencies to understand the impact of “big data” on their individual disciplines. Research – The DSC brings together the major data sources at Meharry into a structured data ecosystem to allow aggregation, integration, and analysis. The data resources draw from more than 25 sources in the schools of medicine, dentistry and graduate studies and research. The data will be housed in a cloud storage environment that will facilitate aggregation and will provide a valuable data lake utilizing hadoop as the infrastructure framework. We have contracted with Clearsense, a company that specializes in data management analytics, to build the data ecosystem in which all of the data and analytics will reside. Support of clinical operations – The DSC incorporates clinical data from the outpatient faculty practices of Meharry and from Nashville General Hospital. These data cover a significant percentage of the population in the greater Nashville area and provide insights into the care and factors that contribute to health inequities. Using the cloud storage environment, the DSC will be able to add this to information from various biorepositories and genomic data to provide a robust opportunity to apply big data analytic techniques to the problem of health inequity. 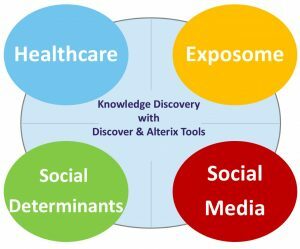 Public health – The DSC has aggregated the data from the “public health exposome.” The exposome database incorporates publicly available health and environmental data at the neighborhood level. This data includes air quality metrics, crime statistics, information on access to affordable housing, violence, poverty and availability of grocery stores, liquor stores or other retail outlets. This dataset has been used to examine the socioenvironmental and social determinants of health triggers for various chronic diseases.